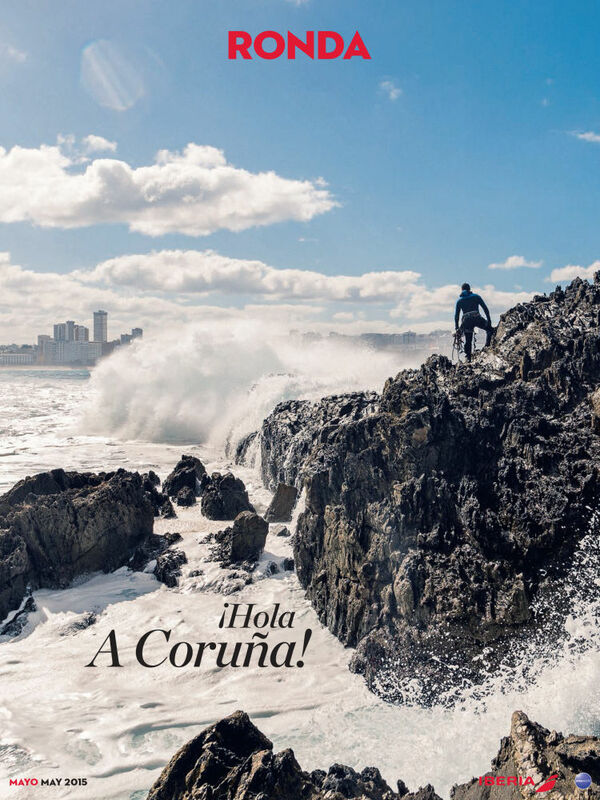 Exploring A CoruÃ±a for Iberia ‘Ronda’ Magazine. 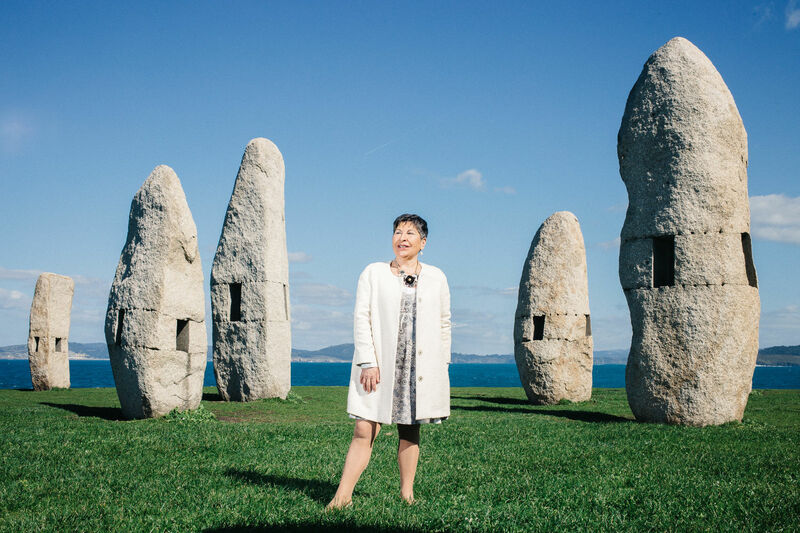 Back in March, I spent 4 days in the Galician town of A CoruÃ±a with journalistÂ Beatriz Aranda. 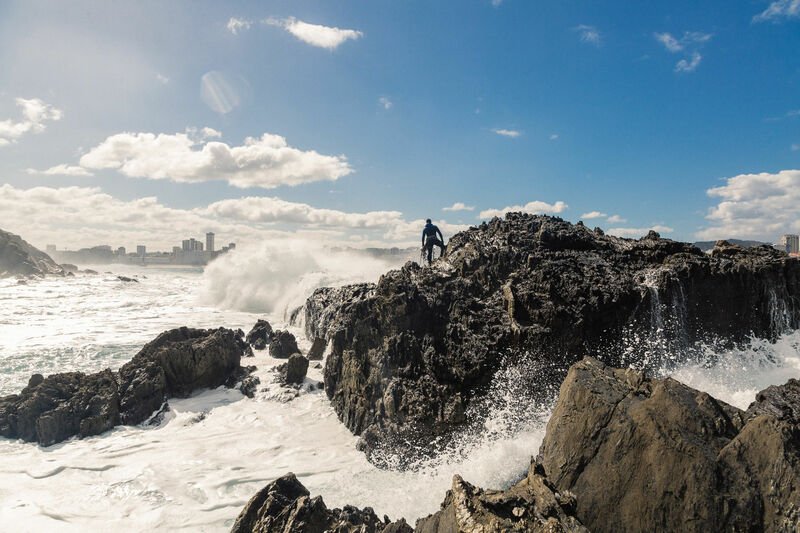 Our goal was to find out about daily life in this coastal city by meeting local inhabitants. 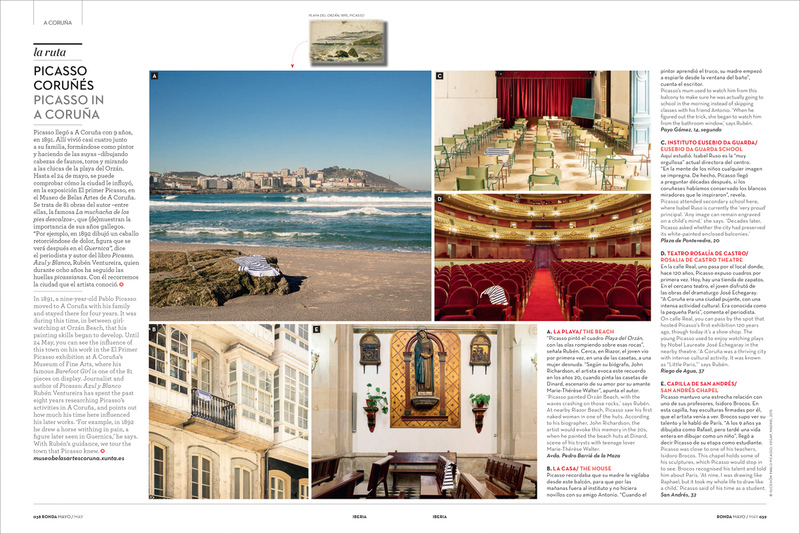 The assignment was for an extended feature in Iberia Airlines ‘Ronda’ magazine. SeÃ±or PÃ©rez wasn’t the only character we met in A CoruÃ±a; I also had the pleasure of meeting my first ever real life ‘witch’, Julia De Borja (below). After our interview and photoshoot, she insisted on predicting my future using tarot cards and palm reading. She told me that I was an artist (flattery gets you everywhere Julia!) and that I shouldn’t neglect my personal work even if I had lots of commercial projects happening. Point taken. 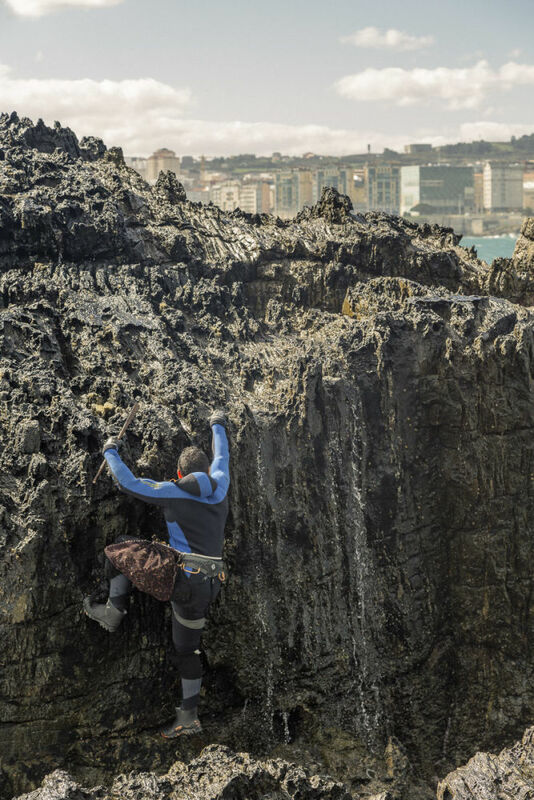 The most painful part of this shoot was getting out of bed at 5am to visit ‘La Lonja’ – the bustling commercial fish market situated in the port. 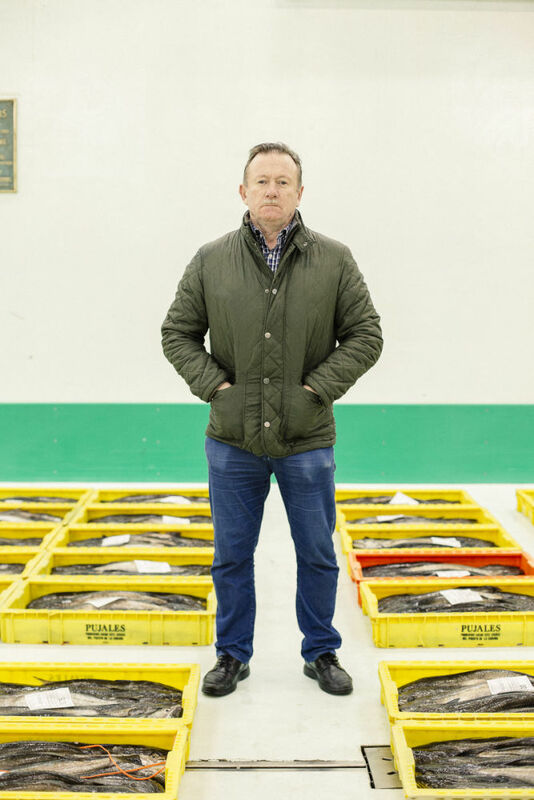 It’s one of Europe’s largest fish markets, and it was pretty amazing to see the hustle of sellers and buyers so early in the morning. 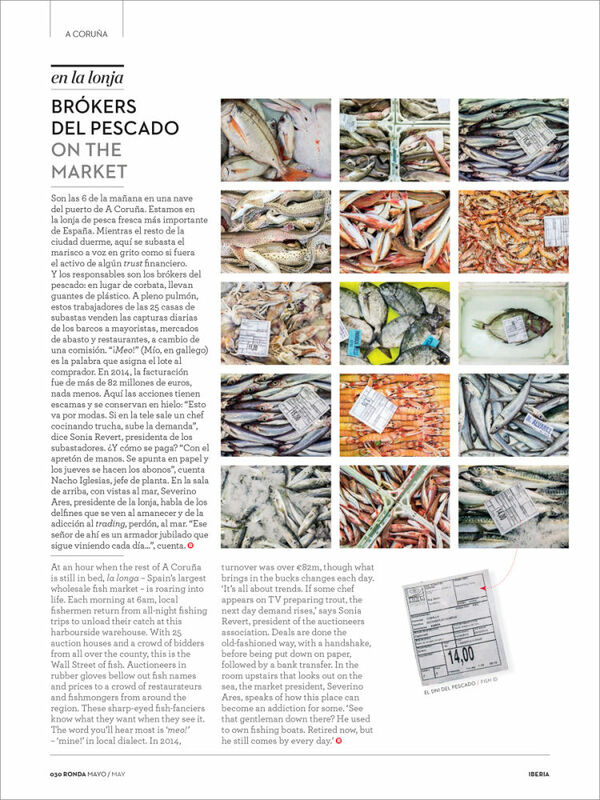 We were guided around by the president of the market, Severino Ares (below), and I love the grid of fish that was featured in the final layout. My two favourite spreads from this shoot were the young skateboarders we shot for the ‘Tribes’ section, and a tour of the city through the life of Picasso, who used to study in A CoruÃ±a. It was really interesting to find out howÂ the teenage skaters felt about their city and their own futures. We were lucky that former pro-skater Bruno Villarreal (a born and bred A CoruÃ±a local) was also at the skatepark, showing the youngsters some moves. 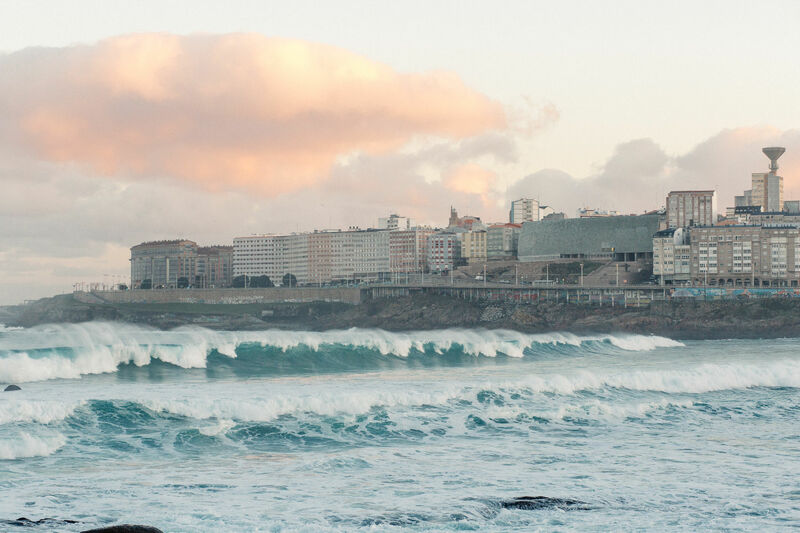 Visiting the old haunts of Picasso gave us a glimpse of A CoruÃ±a’s history, from it’s beautifully preserved opera house, to a classroom in his old art college, which is now a high school in the city centre. With Picasso understandably unavailable for portraits, we paid homage to him by photographing one of his iconic striped shirts in each location. I was also really happy with the cover, showing the scale of the waves that a percebes fisherman has to contend with in his quest to find the elusive delicacies. A fitting homage to a local icon!